Two pouches of expressed breast milk, pumped three day apart by the same mum. Yet, one of the pouches is filled with white milk. The other? Yellowish goo (or what we like to call ‘liquid gold’). So what’s the deal? Is it another one of those “what colour is the dress/shoes” thing? Or is it something more? Don’t adjust your phone settings. Your eyes are not deceiving you. This is not an optical illusion. This is simply proof that the female body is seriously incredible. Like superhero status incredible. Why? Because we mums have the ability to change the composition of our breast milk to produce exactly what our little ones need. And this side-by-side photo of two pouches of breast milk is all the proof you need. What colour is this breast milk? 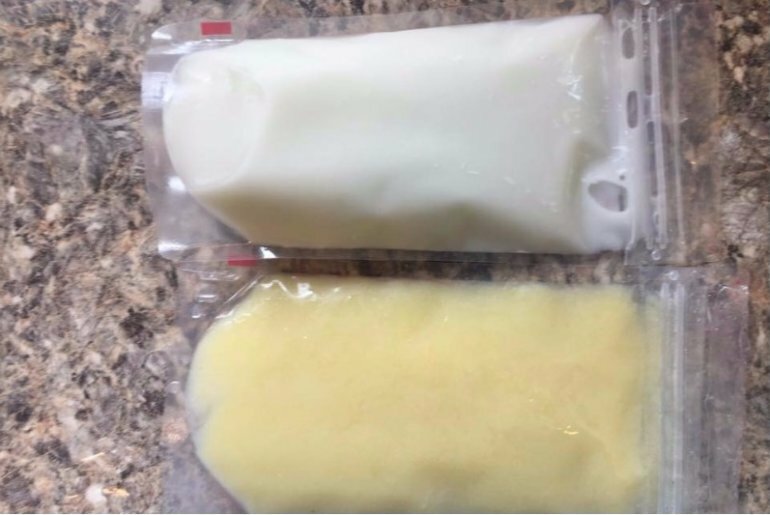 US mum Ashlee Chase shared the image to her Facebook page, explaining that there is only three days difference between these two pouches of milk. The only variable? Bubba’s health. 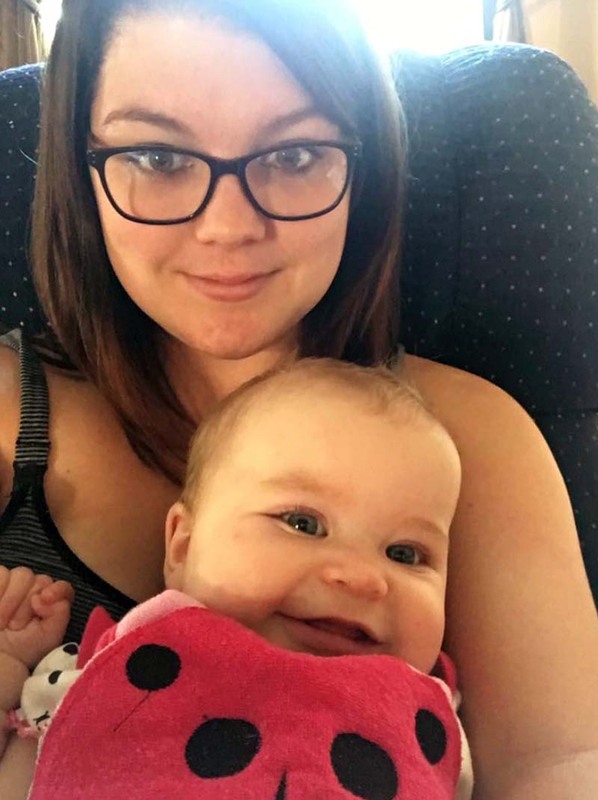 You see, the top image is expressed milk when Ashlee’s 7-month-old daughter, Elliot, was healthy. The bottom photo shows breast milk expressed three day later, while a feverish Elliot was comfort feeding. When your bub is sick, your breast milk will change to cater to bub’s additional infection-fighting requirements. Still not convinced Ashlee has super powers? Science confirms it too. The yellowish milk looks more like colostrum, the pre-milk goodness packed with antibodies and leukocytes. When bub is sick, your body has the ability to go into super-leukocytes producing mode, increasing leukocyte numbers “up to 94 per cent“. So there you have it, breastfeeding mums. You can add another skill to your resume – the ability to produce bacteria-fighting super milk when required. Don’t miss our previous article about how eating certain foods, including nuts, while breastfeeding can cut baby’s risk of developing allergies.